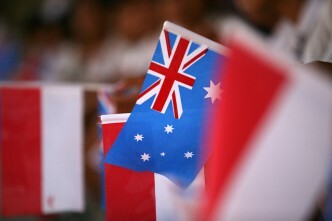 Fairfax’s Michael Bachelard kicks off this week’s recommended readings and podcasts with this op-ed on how Australia ‘won’ the spying row with Indonesia. He argues that the language of the Code of Conduct, signed yesterday by Ministers Bishop and Natalegawa, hardly alters the position PM Abbott adopted when the spying scandal broke in November last year: we’ll keep spying but we promise not to use it against you. Keep reading here. Also on Southeast Asia, two pieces on Thailand’s politics. The first by Khemthong Tonsakulrungruang on New Mandala examines how the newly-appointed National Legislative Assembly works and what impact it’ll have on democratisation. The second by Panida Pananond on East Asia Forum looks at why high economic growth in Thailand will continue to be challenging as long as the junta’s in power. 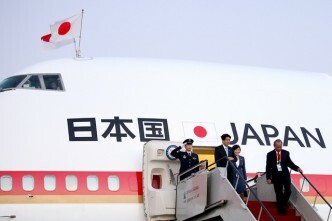 On Northeast Asia, Pacific Forum’s Brad Glosserman has a newish Washington Quarterly piece that paints a picture of a smaller Japan as the most likely future—a view that might differ from that held by Australia’s political leadership. Glosserman’s assessment turns upon the attitudinal constraints in Japanese society. Turning now to an interesting question in contemporary civil-military affairs: do millennials fit into military culture? The US Coast Guard’s Commander Darcie Cunningham argued that the more lax work ethic of millennials and their expectataion of accelerated promotion, among other concerns, grated against the military’s more traditional, hierarchical and time-in-rank system. Unsurprisingly, some millennials service members objected to the Commander’s near monodimensional depiction of their generation, notably CIMSEC’s Scott Cheney-Peters who argued many millennial members of the all-volunteer force joined in part for the ideals the military embodied. For our technology picks of the week, China is developing a supersonic submarine that can travel to Shanghai to San Franscisco in ‘100 minutes’. And lastly, in keeping with my weekly Lego inclusion, here’s a working replica of a W134D Vulcan minigun. It doesn’t fire Lego rounds but spits out ‘spent cartridges’ (Thanks David Andrews). Canberra: LSE’s Dr Jude Howell will discuss how the securitisation of aid after 9/11 has impacted on its delivery and the security of NGO workers as well as broader questions about the purpose of aid in civil society, at ANU’s Crawford School of Public Policy, Tuesday 2 September at 12.30pm. Melbourne: ‘The winner takes all? Lessons from the Afghan election’ is a panel discussion hosted by University of Melbourne. Panel members include Prof William Maley, Dr Susan Schmeidl, Dr Astri Suhrke and Niamatullah Ibrahimi, Wednesday 3 September at 6pm. Natalie Sambhi is an analyst at ASPI and managing editor of The Strategist. Image courtesy of the official website of the President of the Republic of Indonesia.